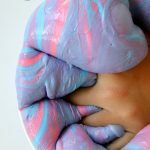 Nebula Slime is so easy to make! 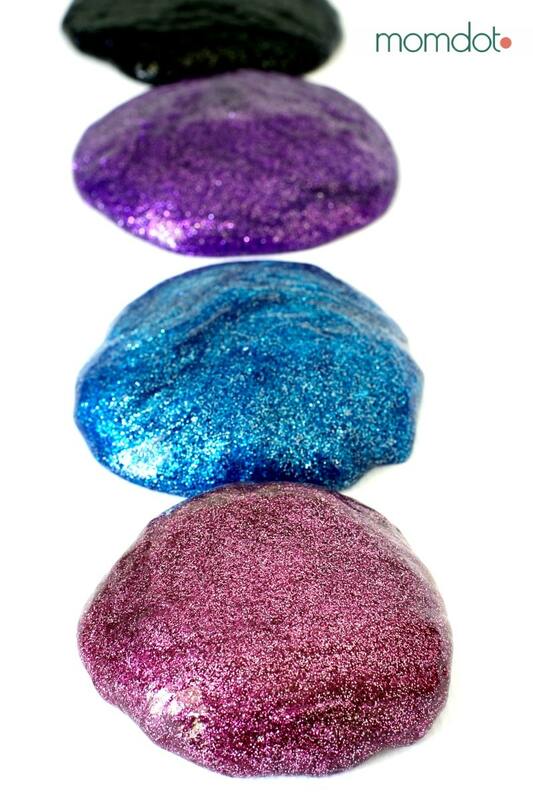 You can Create Glitter Nebula Slime for gorgeous science fun. Scroll below for the recipe and instructions and get started! When it comes to the galaxy, there are many striking wonders of science. Even as a kid I loved looking through old Time books (yep, books!) that showcased comets, planets, nebulas and other cosmic wonders. So it’s no surprise that throughout the years I have made quite a few craft projects that remind me of those images and chances are you have seen a few of them, like this DIY Galaxy Jar, DIY Universe Glow Jar, or this Constellation Jar, floating around. And today is no different! 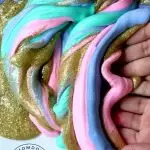 In a long line of beautiful slime tutorials, I wanted to bring you a brand new one- a gorgeous glitter filled Nebula slime that is sure to not only strike wonder with the kids due to the ooey, gooey fun feeling of playing with slime, but the fact that its striking and beautiful. Watch the colors melt together to create a nebula in the great unknown. Alright, that might be a little melodramatic for crafting, but it IS pretty. 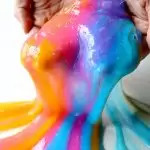 PRO TIP: Many people do not like to deal with borax and water when making slime. 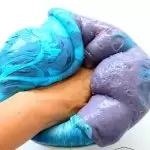 You can also make slime by using LIQUID STARCH and glue. It’s a ton easier. 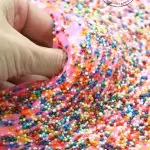 Simply use about 1/3rd cup starch in 1/2 cup glue and add starch little by little until you get the slime consistency you want. You can either pre-color the glue or do it after for the colors you want. 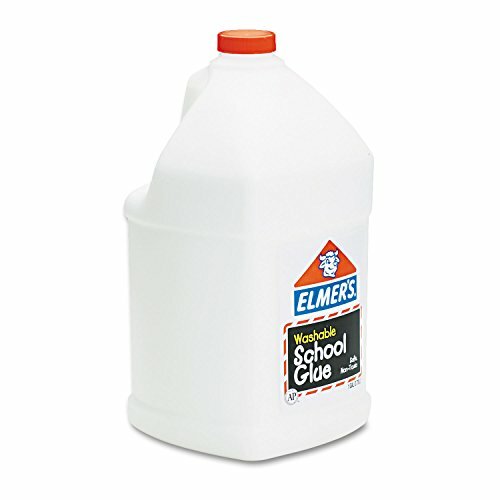 If you are using clear glue or glitter glue, you will need MORE starch than you need with a white glue recipe. 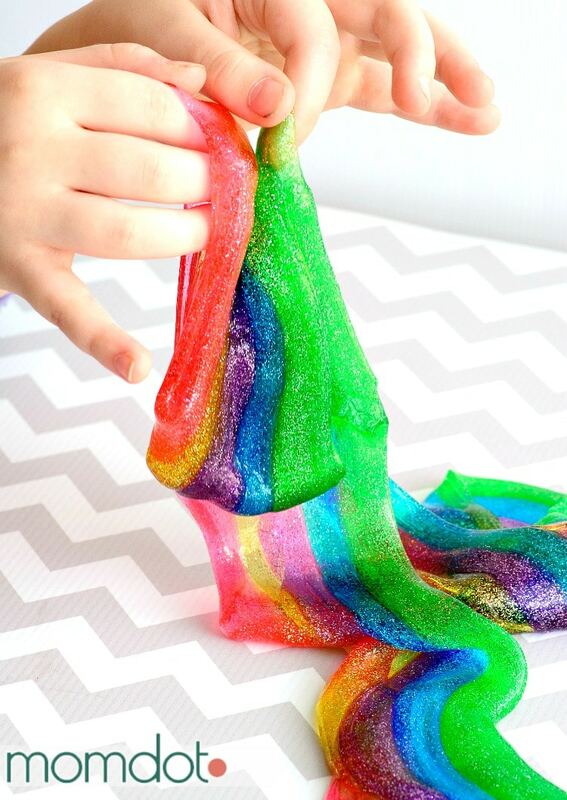 If you already know how to create slime, you can skip this. 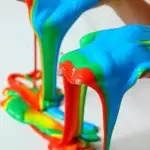 It makes the same way as all slimes, just mix these gorgeous colors for the result. 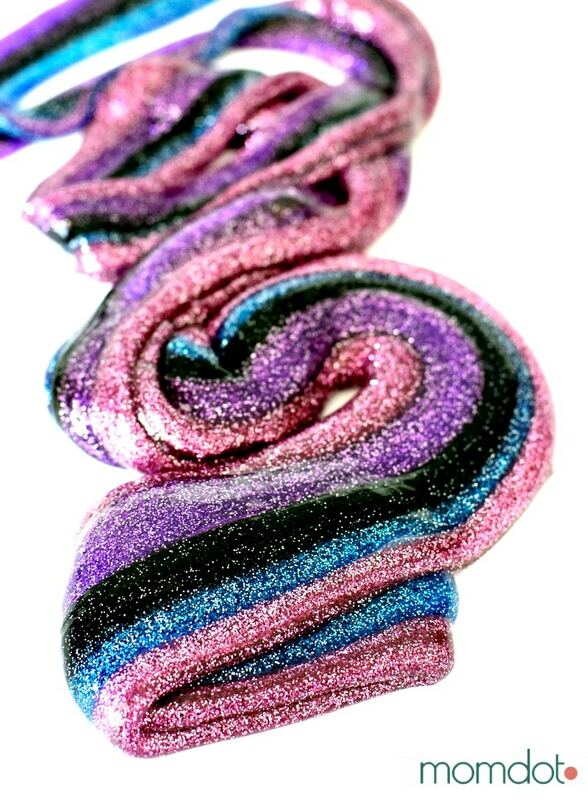 NOTE: We have updated our BORAX slimes to be NONBORAX. Its easier to create! Simply pour approx 1/3rd liquid starch and add more if its still too sticky! Pour glue into a cup (red solo cups work great for this), add the tbsp. 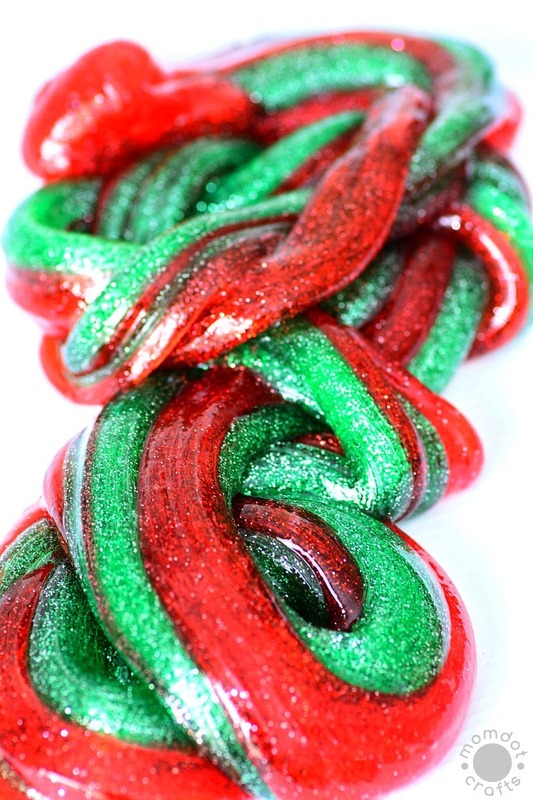 of water and food coloring and mix well with the craft stick. Add Liquid Starch, approx 1/3rd cup and mix. If its too sticky, add a little more at a time. 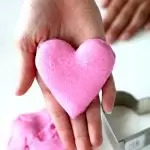 When slime becomes too thick to stir, remove it from the water and start kneading with your hands until no longer sticky. Repeat 3 more times to make each of the colors. Braid colors together when finished. I have a lot of people message me about this and other slime projects, wondering why their slime is so runny compared to mine. I did a live Facebook video that shows you the stages of slime from the goop to the solid mass above you see, so you can make sure you are on the right track. I also address some of the slime issues! 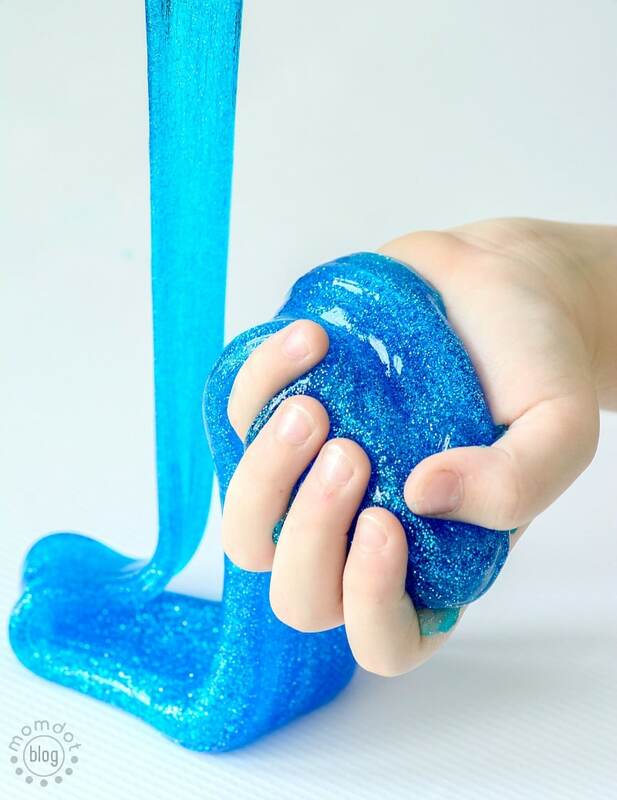 Love slime? Try these other ideas! 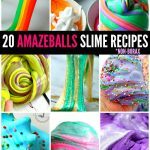 Just click on the slime image to get the recipe for each of these slime DIYs! What does the borax do? 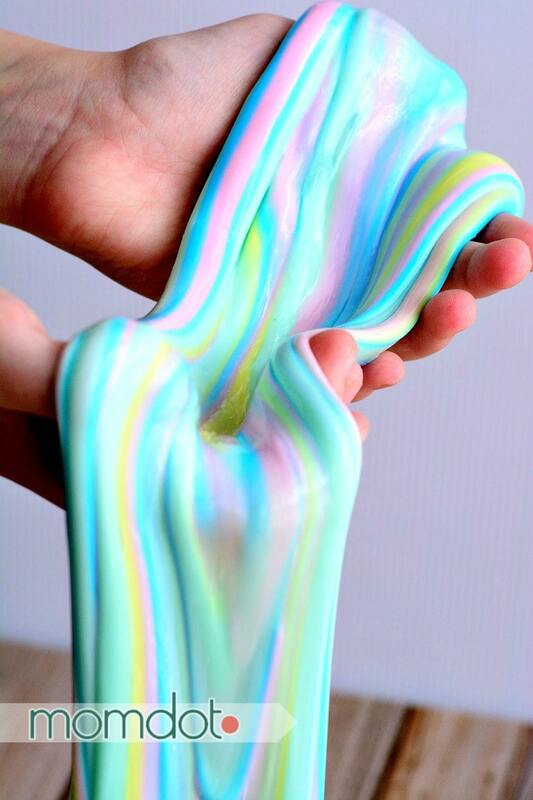 It has a chemical reaction to turn it into slime. Some people use liquid starch instead.